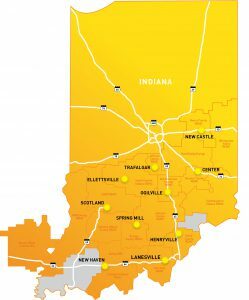 Significant key initiatives support Hoosier Energy’s commitment to serve the long-term interests of the G&T’s 18-member distribution systems. No matter the issue, we always seek the right balance to meet the future needs of our members while constantly trying to improve and be open to new ideas. has been opened for maintenance since it was installed in 1982. With the dedication of the Meadow Lake V Wind Farm on October 10, 2017, Hoosier Energy and Wabash Valley Power added a combined 100 megawatts (MW) of wind energy to the grid. “Electric cooperatives are focused on providing cost-effective energy for their member systems through a variety of resources including renewables,” said Steve Smith, Hoosier Energy President and Chief Executive Officer. “This agreement adds more wind resources to our ‘all-of-the-above’ portfolio, which includes coal, natural gas, wind, hydro and landfill gas generation.” Located near Interstate 65 in northwestern Indiana, the first phase of the Meadow Lake Wind Farm began operations in 2009. With the completion of phase V in 2017, the total installed capacity is 601 MW – enough electricity to power approximately 159,000 average-sized Indiana homes. This partnership contributes to Indiana’s rank of 12th nationwide in wind capacity. In October, local REMC officials and Hoosier Energy dedicated the Center solar array, named after nearby substations. This completed a 10-site 1-megawatt solar energy program, part of Hoosier Energy’s commitment to provide reliable and competitively priced energy to members. Hoosier Energy expects renewable energy to more than double to nearly 10 percent of the G&T’s power supply within a few years. Business expansions within member cooperatives help enrich communities. The economic development team partnered with member systems to bring jobs, investment and load growth to member territories in 2017. One example of this enrichment is the growth in the automotive part supplier sector. GECOM Corporation, an automotive parts manufacturer for seven automotive companies, expanded their facilities served by Decatur County REMC. This $26 million expansion project will bring 750 kWh in load increase and 30 new jobs. Agriculturally, the market has trended toward what the cooperative territory is strongest in producing: chickens, turkeys and eggs. 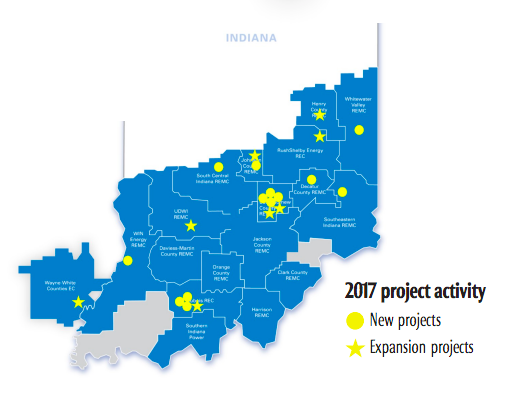 Overall, Hoosier Energy and member systems experienced significant economic development activity during 2017. Projections to the end of the year from December 1, 2017, show the number of jobs should significantly exceed the 10-year average. Although the load growth is projected to be lower than the 10-year average, it will be an improvement over 2016 numbers. Additionally, the logistics sector showed particular strength in the service territory during 2017. Republic Transmission (a Hoosier Energy and LS Power partnership) together with Big Rivers Electric Corporation, will develop, build and maintain the single circuit 345 kilovolt DuffColeman line. Spanning 30 miles, this transmission line crosses sections of Dubois County, Indiana; Spencer County, Indiana; and Hancock County, Kentucky. 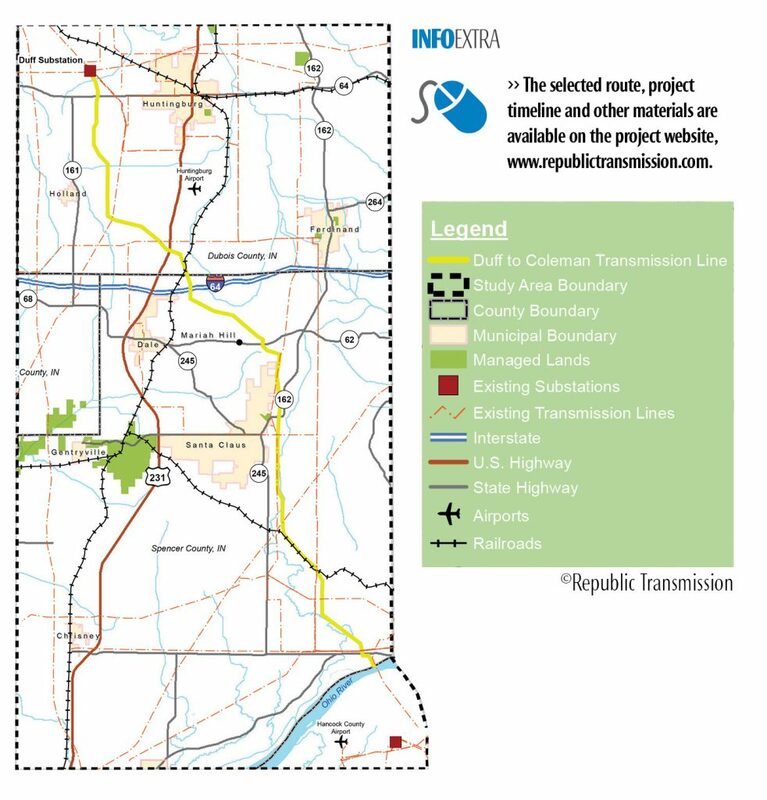 Republic Transmission was selected from 11 proposals by the Midcontinent Independent System Operator in the regional transmission operator’s first competitively bid transmission process. The project is estimated to provide over $1 billion in benefits, which far exceeds the cost for the project. 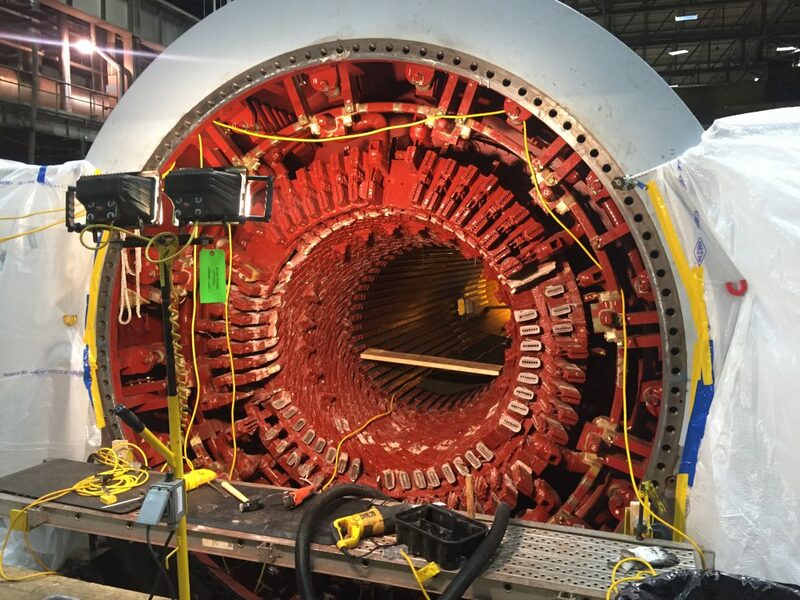 Republic Transmission is leveraging its technical capabilities in the construction and operation of the Duff to Coleman Project, benefitting from Hoosier Energy’s existing local operations, maintenance experience and capabilities. The route selection has been completed and engineering and easement acquisition are on schedule. The National Rural Electric Cooperative Association’s (NRECA) Spotlight on Excellence Award program recognizes a body of outstanding work produced by electric co-op communication and marketing professionals across the nation. Awards are presented for best projects and programs for the year that embody high standards of quality and achievement. 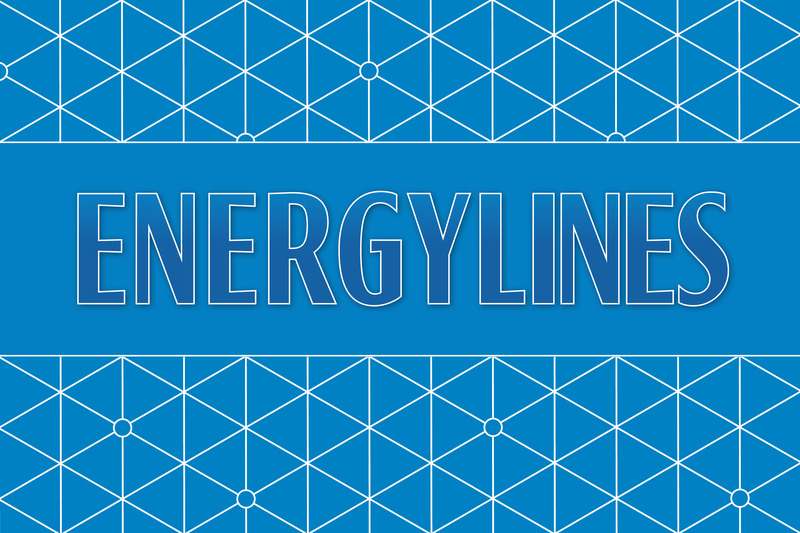 The awards included Best Internal News Publication (EnergyLines) and Best Total Communications (member solar programs).